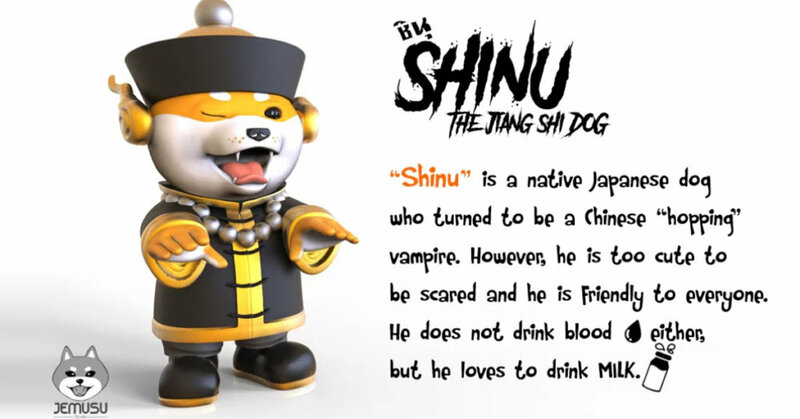 You can run but you can’t hide from Shinu The Jiangshi Dog by Thailands Jemusu James of Jemusu Studio. He must know we have a sweet spot for Shiba Inu’s! That’s exactly what Jemusu Studio is teasing us with. Jemusu Studio take on the lovable Shiba Inu in the form of a Chinese Hopping/Jumping Vamper. Ready to make its debut at Art Toy Thailand 2018 (ATT2018) Exhibition. Let’s hope the finished versions look as good as the renders. Stay tuned for online release info.